I’m all about uniqueness and exclusivity, so I like to make sure that no two bouquets are ever the same. In fact, no two flowers are carbon copies of each other; each and every flower has it’s own identity, just like nature intended it to be. I still get people asking me if these are real flowers, well, as alive as they look, they are actually made of fabric. The advantage? These will outlive and outlast real life flowers, and you can do tons of stuff with it after you walk down the aisle. Take the bouquet apart after your wedding and rearrange the flowers in simple mason jars or leave the bouquet as it is on your bedside table and relive your wedding day every single day. That actually sounds like a great daily reminder as to why you said “I DO”. 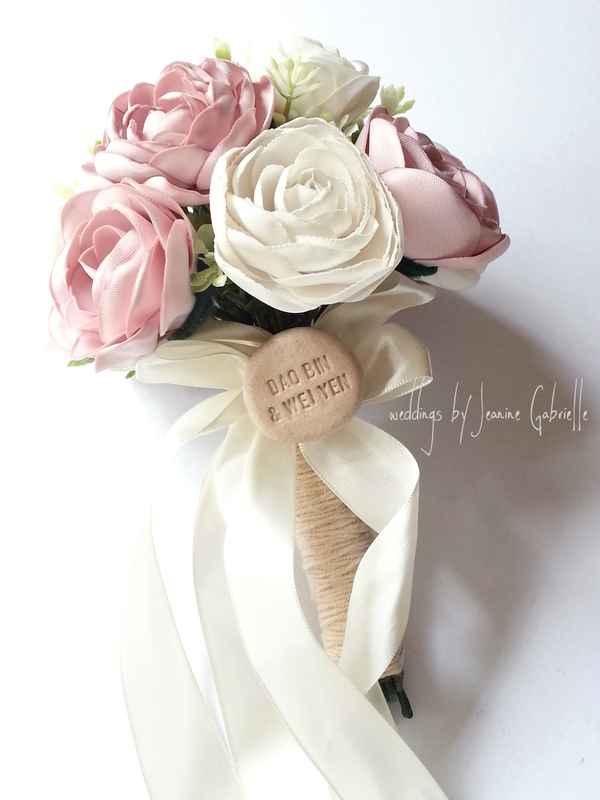 What would you do with your wedding bouquet if it could last a lifetime? Please note that the colors featured in this post may not be available at all times, and depends solely on fabric availability at the time of your order. ← Berries, berries, and more berries!